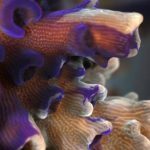 Aquarists don’t usually spend much time pondering the finer details of stony coral morphology, but within their calcareous walls is a wealth of information waiting to be explored. The microscopic structure in a scleractinian’s skeleton contains important clues to the evolutionary past, and, by comparing these with the fossil record, we can get a good idea for what the climate was like tens of millions of years ago. Given the significant warming that earth’s climate appears headed for, this information can provide us with some valuable insight into how corals have managed similar changes throughout their long history on this planet. Acroporids are a dominant constituent in today’s coral reefs. Within this diverse family, we find two of the most speciose of SPS groups—Acropora and Montipora—as well as smaller taxa like Alveopora, Astreopora and a few other genera which aquarists seldom get to see. This lineage has a long evolutionary history, with the earliest known fossils dating to the Paleocene, an era when the first fossil reefs began to rebound following the extinction event that wiped out the non-avian dinosaurs. Recent molecular work has supported a close relationship for this group, and all share a similar morphology (highly porous skeletons built from structures termed synapticulotheca). 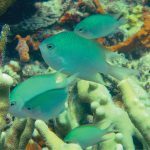 In a recent study (Stolarski et al 2016), another unusual trait of these corals was examined across living and extinct taxa. Among the acroporids, the spaces which separate their tiny polyps are built up in a minute, shingle-like pattern. If you have a good magnifying loupe or macro lens, you can see this to some extent, as the skeleton has a rough, grainy texture that is revealed to be formed from numerous upwardly directed slabs. Through the magic of an electron microscope, these become even more obvious, and, by examining thin cross-sections of these, researchers are even able to study the precise manner in which organic and inorganic (i.e. calcium) layers are laid down to produce these morphological features. 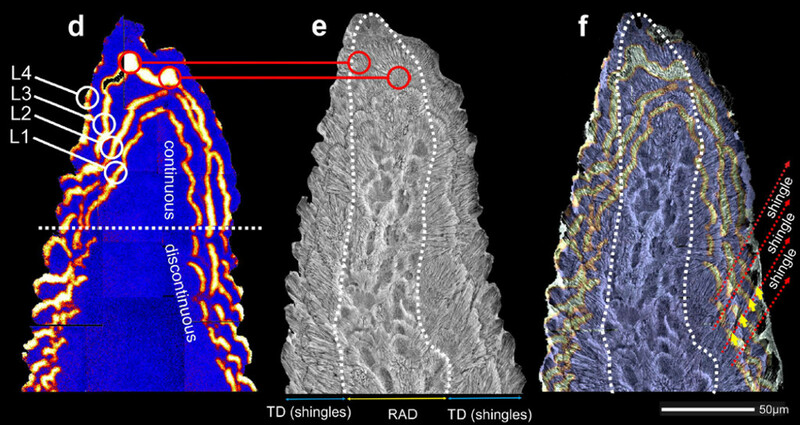 Among the various acroporid groups, the relative size and shape of these skeletal shingles correlates with our current classification. Within the huge genus Acropora, some species have smaller shingles and others larger, while other genera have their own subtleties, such as the notably wide shingles found in Alveopora or the poorly formed shingles of Anacropora. When we look back into the fossil record, some of the earliest examples from this group (dated to between 48-15 MYA) show this same morphology. On a wider scale, we find skeletal shingles scattered about a few other closely related families (e.g. agariciids, flabellids) in the “Complex” coral clade, but never among the more heavily built families (e.g. 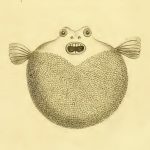 lobophylliids, mussids, merulinids) of the “Robust” clade. 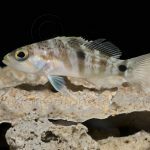 This has important implications beyond phylogenetics, as it shows that acroporids has been building their skeletons in precisely the same manner across all the major climatic and ecological shifts that have taken place during these periods. 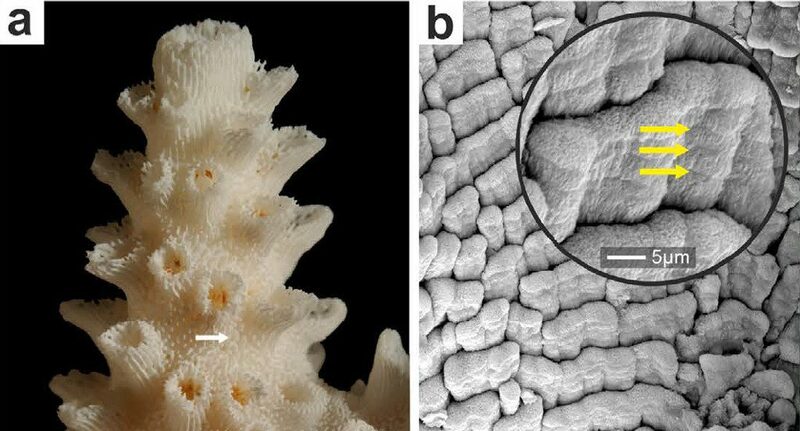 As the authors state, “The remarkable evolutionary stability of the Acropora biomineralization pattern exists despite major global geochemical fluctuations, from greenhouse (high pCO2) conditions and low seawater Mg/Ca (calcitic seas) in the Eocene to icehouse (low pCO2) conditions and rapidly increasing Mg/Ca (aragonite seas) during the Oligocene-Miocene.” Lately, there have been plenty of dire warnings in the media and within the scientific community that the coral reefs of the world might be about to dissolve away due to elevated CO2 levels and an increasingly acidic ocean, but the evolutionary history of the acroporid corals seems to argue strongly against this. As any aquarist with poor water quality can attest, stony corals are surprisingly adaptable creatures. So if our climate does end up warming to the levels being predicted, it’s worth remembering that corals have already survived similar conditions many times throughout their long evolutionary history. Stolarski, J., Bosellini, F.R., Wallace, C.C., Gothmann, A.M., Mazur, M., Domart-Coulon, I., Gutner-Hoch, E., Neuser, R.D., Levy, O., Shemesh, A. and Meibom, A., 2016. 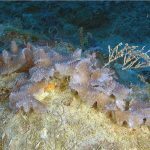 A unique coral biomineralization pattern has resisted 40 million years of major ocean chemistry change. Scientific Reports, 6.